A SEPTA trolley travels west along Chester Avenue in West Philadelphia. The Delaware Valley Regional Planning Commission (DVRPC) has unveiled plans for a major upgrade to Philadelphia’s six trolley lines, designed to enhance the experience of both trolley riders and city residents alike. 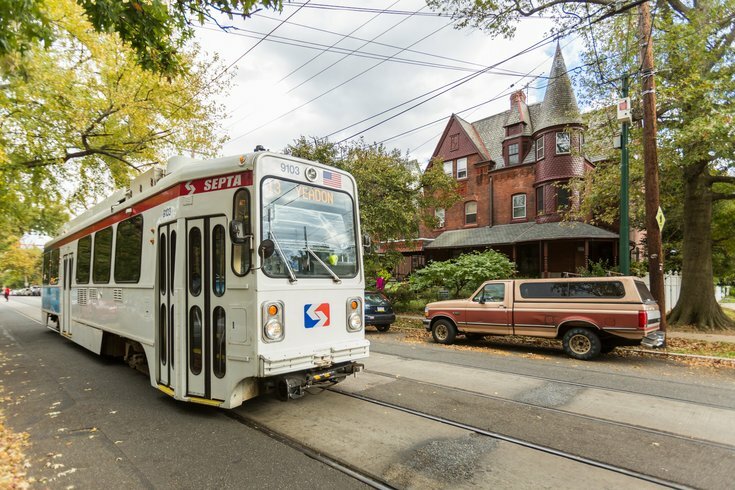 In a newly released design guide, DVRPC outlines changes to modernize Trolley lines 10, 11, 13, 15, 34, and 36, covering regions throughout Philadelphia, Darby, Yeadon, Colwyn, and Delaware County. The trolley system has of course been given enough upgrades to sustain its existence, which stretches back to 1906, and continue to serve some 100,000 people who use the lines daily. The promise of modernization, however, means bringing the systems out of antiquated tech and presenting more accessible amenities for passengers. The report outlines the intended upgrades for each of the stations, including replacing the entire fleet, which dates back to the 1980s. The plan also entails cutting back on some stops so that the trolleys move along more quickly. Other highlights from the report include taking steps out of trolley cars in an update to flooring, providing seating for double the amount of riders, better accessibility for disabled SEPTA riders, and more space for strollers, among other updates. On the street near trolley stations, there are plans for raised boarding areas and updates to parking options where the route would change. Plus, people looking to buy fare could now purchase either at the station, as is the norm now, or have the option to purchase on board. Among the design plans are raised platforms and/or curb extensions, which could help better accommodate protected bike lanes and emulate other modern U.S. trolley systems such as those in Portland and Seattle. What’s next? Well, before you can start fantasizing about your new-and-improved trolley commute, the changes need City Council approval and to secure funding through a mix of grants and the community. The goal is for DVRPC to begin introducing the trolleys by 2024 if all goes according to the DVRPC’s plan.